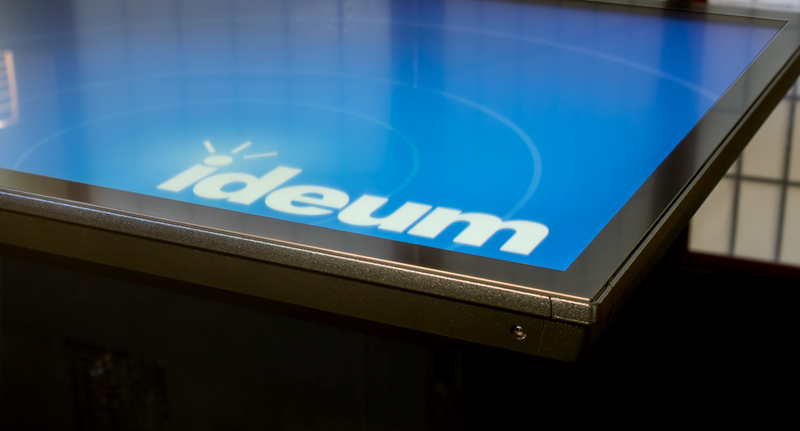 In 2017, we undertook a comprehensive project to redesign our entire range of touch displays, changing our manufacturing methods to make an even stronger and more durable product line. These improvements in design and manufacturing included making greater use of extruded aluminum and casting. 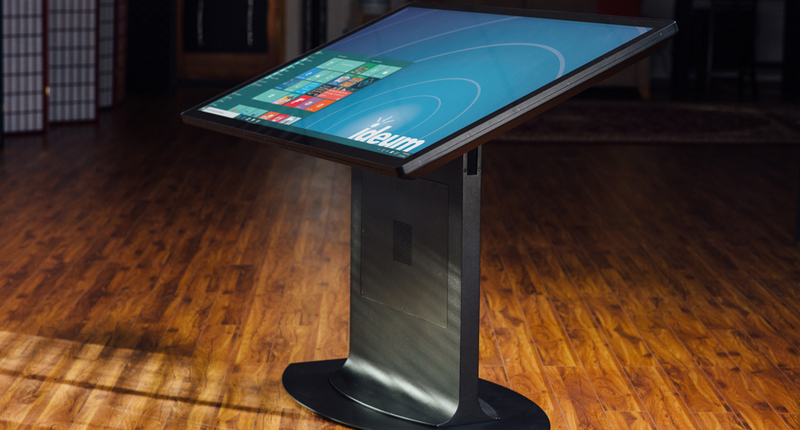 (See Building the Best and Toughest Displays and Multitouch Tables to learn more.) Our new multitouch coffee table prototype uses these same advanced processes. It’s the next major step in the evolution of our products. This new prototype uses extruded aluminum for the sides of the chassis and flat sheet metal parts for the doors and back, while the base is a casting. All of the metal is from North America, and all of the finish work is done right here in the United States. 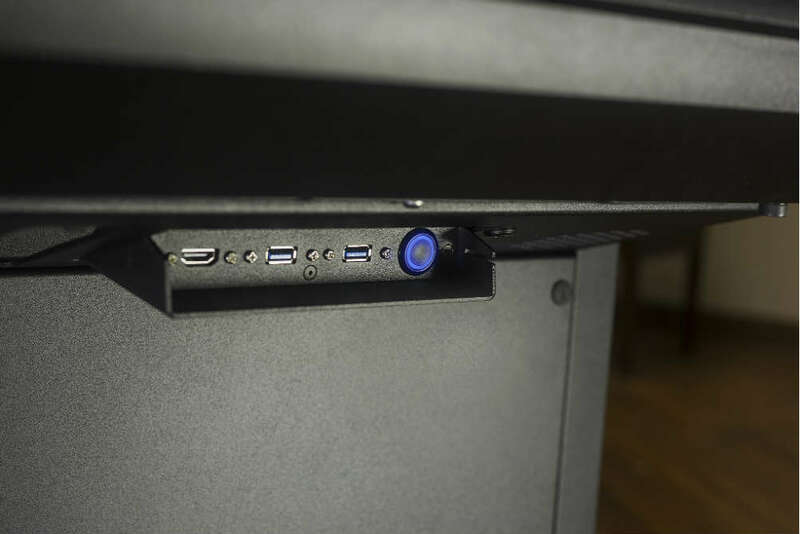 The new design has easy but lockable access to the power button, USB ports, and an HDMI port. Two locks on the main panel allow access to the entire computer system, which is on a removable plate. All in all, the new design emphasizes quick access while maintaining security—especially important because so many of our touch tables are used in public and semi-public settings. The PC system shown inside the touch table has an Intel Core i7 processor, 16GB RAM, a 512GB SSD drive, and a full-sized GTX 1070 NVIDA graphics card. 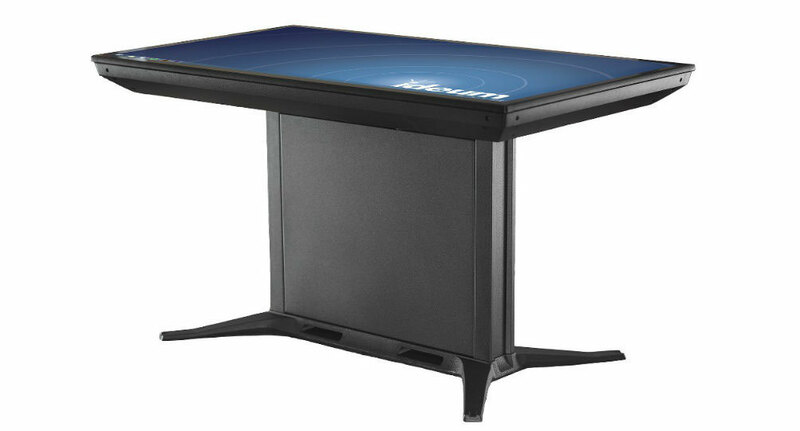 As with all of our touch table models, a performance computer with 32GB of RAM and GTX 1080 graphics card is also available. This new smart coffee table design works with our 43”, 49”, and 55” touch displays. We will soon be testing a larger cast base for possible use with our 65” display. All of these displays are equipped with 3M touch technology and the 4K Ultra HD LG commercial screens available in our Presenter touch display series and in our Platform, Pro, and Drafting multitouch tables. This exciting and innovative design will be available later in 2018. However, because we see this new design as a way to provide additional options for our customers, we will also continue to offer our classic touch coffee table for the foreseeable future. We will announce the release date of the new design later this year.